Outside of having cleaner, more attractive carpet, there are many reasons why professional carpet cleaning is worth the cost. This service should be performed once a year for the best results and this article will tell you why. 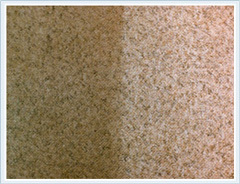 Dirty carpet contains many harmful pollutants such as lead, pet dander, cockroach allergens and dust mites. Additionally, toxic gases can become trapped in the fibers of your carpet. These pollutants get stirred into the air whenever there is activity on the carpet. A reputable Professional Carpet Cleaning in Regina, SK will have detailed knowledge of that. Mold is also known to grow in dirty carpets. This is harmful to your health and gives the carpet a bad odor. Professional Carpet Cleaning in Regina, SK have tools specifically designed for eliminating the moisture that causes mold growth. The shampoos used by professional carpet cleaners are formulated to kill these pollutants and fully cleanse them from your carpet fibers. Whereas store bought carpet cleaners aren't capable of this kind of deep cleaning. Professional high-powered vacuums are also more efficient at getting deeply embedded dirt and germs out of the carpet. Using a regular vacuum and carpet cleaning solutions does not rid your carpet of all the built-up grime. When dirt sticks to carpet it acts like sandpaper and wears away the fibers. Only professional equipment is able to give the carpet and truly deep cleaning. Additionally, many carpet manufacturer's also require a professional cleaning every 6 to 18 months in order to preserve the warranty. Not only does it take a lot of time to clean your own carpet, it also takes time to pick up and drop off a rental machine. Most rental machines are low-powered and don't work as efficiently as professional grade equipment. This means you may spend a bunch of time cleaning your carpet without getting quality results. Call our Professional Carpet Cleaning in Regina, SK to schedule an appointment today.